Ergonomic positioning of notebook to eye level. Adjustable in height, 3″-4″. Unique leg design expands/collapses for keyboard storage. Cable management that actually works. Ventilation for annoying notebook heat. 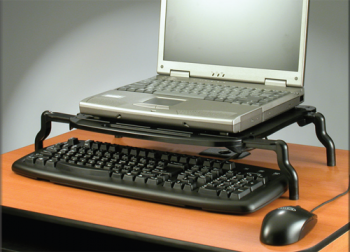 Creative and adjustable document support.